Looking for alternatives to Toad? Tons of people want Non-Native Database Management Systems software. What's difficult is finding out whether or not the software you choose is right for you. "Better programs out there: I like being able to filter tables and sorting columns once opening a table. SQL Developer allows for helping me view and export database structures which is very helpful. On the plus side, it is easy to start for new developers and making connections is easy." phpMyAdmin is a free software tool written in PHP, intended to handle the administration of MySQL over the World Wide Web. 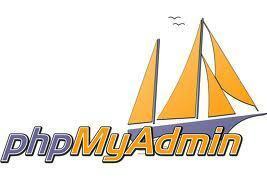 "Excellent for managing MySQL via web: It is a very complete application with infinities of uses and characteristics. Everything is oriented in the web environment, complex queries can be created, stored procedures can be created very easily. The insertion of data, as well as modifying and eliminating it is very simple. You have the option to enter MySQL code directly." 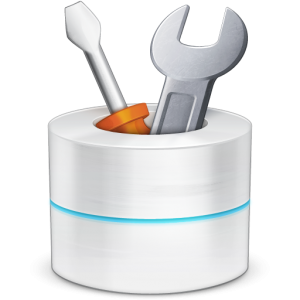 SQL database management for Mac OS X. "Simply awesome tool for exploring tables and building queries: Sequel Pro has a simple interface that is great for the beginner but also robust enough for the intermediate user. I'd imagine it's good enough for any Pro user as well. Quickly test code, save snippets, review your query history, explore tables, quickly switch databases. It really does have everything you need. " Amazon Athena is an interactive query service designed to make it easy to analyze data in Amazon S3 using standard SQL. "A great start but needs some work: The main benefit I've seen from Athena is the ease and speed with which I can use SQL-syntax to query large(ish) datasets stored in Amazon S3. Adding tables is a breeze, and can also be done with AWS Glue (though this adds flexibility it also adds a lot of complexity.) Querying is simple and easy, as the Presto syntax is mostly standard SQL." 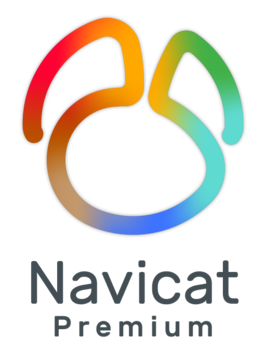 Navicat Premium is a database administration tool that allows you to simultaneously connect to MySQL, MariaDB, SQL Server, Oracle, PostgreSQL, and SQLite databases from a single application. "Excelente administrador de base de datos: Navicat es una gran aplicacion para administrar base de datos, es compatible con muchos gestores como por ejemplo SQL SERVER, MySql, MariaDB entre otros. Con Navicat podemos administrar de manera precisa y facil todas las tablas de las bases de datos, desde la creacion hasta la edicion de las mismas, es posible realizar consultas para traernos los datos, y al mismo tiempo podemos guardarlas para editarla si es necesario, las consultas pueden ser exportadas en varios formatos esto por si el usuario final desea tener algun soporte de la data solicitada. Otro punto a favor es la conexion con la base de datos el proceso es bastante sencillo y rapido de hacer. Se pueden crear procedimientos directos, ya sea para hacer una actualizacion, registrar o eliminar un registro directo desde el mismo manejador de base de datos o usando algun codigo HTML creado." 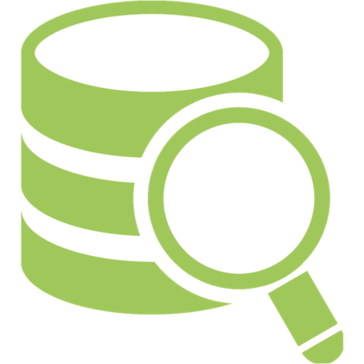 SQLyog is a database management tool for MySQL GUI. "sqlyog: one of the things that I like is that they can be done or it is a great Query Editor with multiple tabs and results editor multiple execution of queries, besides for me we are talking about a MySQL database administrator for Windows, which does not look bad, and if you do not like to use MyPHPAdmin or for those who do not like to use it like me, this is one of the best possible options. that allows the creation of templates sql the export of data in formats that I already know and querys with tabs"
"Review about Robomongo: Robomongo is very useful software that can access the data.User Interface is very nice.The way execute quires directly with in the console it self.The uniqueness of key value will helps out the duplication prevention. Document oriented data model ,platform independent." DbVisualizer is the universal database tool for developers, DBAs and analysts. "Good Database Client: Can connect to any database like Oracle, DB2 easily. Personally I have connected to Oracle and DB2 . Can easily copy and paste object names which most of the database clients do not provide. This is supported by Windows, Linux and Mac OS. I have used in Linux and Windows." "DBeaver is a good database connector: DBeaver effectively assembles multiple DB connections into a single app. You can also simply distinguish different environment by assigning colors to them, so you'll instantly recognize wether you're executing queries on a development or a production database. 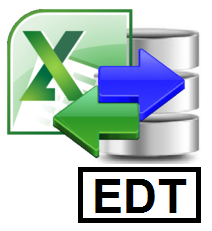 It's a very useful feature that prevents (or at least diminish) executing queries on the wrong machine"
Excel Database Tasks (EDT) enables you to easily build powerful data edit/processing, data load/transfer and reporting solutions. "Great program to create tables and statistical information. : It is very easy to use and can have multiple information contained in a single file. It allows me to manage the data individually to generate statistical tables, amortization tables, dynamic tables, control of loan management of statistical information on a large scale. I can use them to create small databases without having to have large database administrators. I can migrate the quarters as independent tables. The information can be synchronized with the microsoft database. The sheets can be used individually, being able to generate independent matrices and compare them to obtain statistical tables, as well as to relate them and obtain another matrix with the integrated information. I can convert the worksheets into a database for any database manager (dbase, Oracle, Informix, Postgrep, etc)." dbForge Studio for MySQL is the universal MySQL and MariaDB client for database management, administration and development. With the help of this intelligent MySQL client the work with data and code has become easier and more convenient. "The best "swiss knife" tool for MySQL/MariaDB: dbForge is doing almost everything you need to develop and maintain MySQL and MariaDB databases. The perfect "swiss knife" tool that any DB developpers would dream about. Databases access is really complete and allow various connection types (SSH, SSL, HTTP Tunnel, ...) Schemas comparison is really great, it's very easy to compare and directly synchronize tables, indexes, triggers and any objects in the databases. During the developping process this function is very important to synchronize the test database and the production database. Data comparison allows to locate easily and quickly any different datas. Copying databases from one server to an another is done just in a few click. For testing application this function is really a must. You just have to make a copy of your database and you can right away test the application with real datas. The Query builder is really great and allow you to switch from graphical mode to SQL for advanced queries. In the same way, the sql editor allow you to test and debug complicated SQL script." 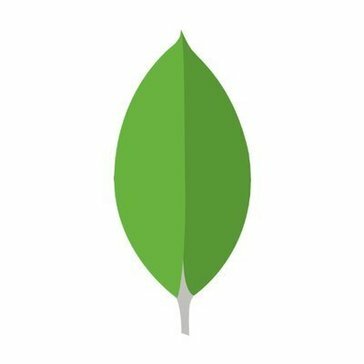 A hosted platform for managing MongoDB on the infrastructure of your choice. Cloud Manager saves you time, money, and helps you protect your customer experience by eliminating the guesswork from running MongoDB. "Progress with database with JSON storage. : Excellent reliability and maneuverability to build data from a simpler platform and have it in the cloud, it is incredible the advantage that allows using it from the web with an API integration without having to weigh more on the servers, it runs very fast and the platform preview everything with the simplest creation of tables showing them in organized and variable data." Azure Database for PostgreSQL is a Managed PostgreSQL database service for app developers that integrates the PostgreSQL community edition with Azure for scalability, high-availability, and your choice of languages and frameworks. "Azure Is A Powerful Tool! 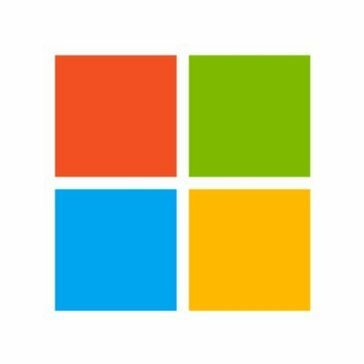 : Microsoft Azure PostgreSQL gives users the freedom to build, manage, and deploy applications easily and with very little or no investment. I like the ability to choose between Word press and other popular for launching websites." An open-source service monitoring system and time series database. "A Deep Well of Metrics: The depth and granularity of the metrics made available by Prometheus are better than any monitoring tool I have used to date. The configuration documentation is long but covers everything in great detail. There was not an issue creating the service accounts, setting user permissions or building our first configuration files." Replace phpMyAdmin with Adminer and you will get a tidier user interface. "Administrador de bases de datos en formato GUI: Es tan limpio configurar y caminar como sea posible: agregue un único archivo PHP al servidor, ingrese las credenciales de la Base de datos, ¡comience!" Azure Database for MySQL is a fully-managed database service for app developers and it is capable of handing mission-critical workload with predictable performance and dynamic scalability. "Azure a very fast software: Azure It has a very good speed of deployment, scalability and operation, with which the efficiency of the work tends to be very high, in addition the simple migration of data makes the system, especially if it is based on Windows, is easy to guide. On the other hand it offers great services (Iaas, Paas, Saas) and comes with fully integrated delivery pipeline"
dbForge Studio for Oracle is a powerful integrated development environment (IDE) for Oracle, which helps developers to increase PL/SQL coding speed, provides versatile data editing tools for managing data. 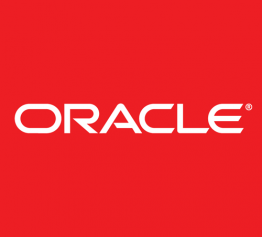 This tool for Oracle allows synchronizing data between different Oracle servers and automating schema change management process during development. It also contains lots of features wrapped into a smooth GUI consistent with Microsoft Visual Studio. "Is getting away from what is it first task: What i like the best is that dbforge studio has a really friendly User Interface , you have to know what you are doing but for a new tool is really fast to learn how to use it. Do not need much hardware to work properly and gets the job done." TablePlus is a native tool with elegant UI designed to allow users to simultaneously manage multiple DB such as MySQL, Postgres, SQL Server, SQLite and Microsoft SQL Server. "Very modern and robust application for the management of databases. : This database management system allows to manage in a very simple way databases of different types: mysql, sqlserver, postgresql, oracle among others. It is easy to download and install. The connection configuration of the database is simple and offers you an organized and very usable graphical user interface, it really complies with the standard for this type of applications. I have used it for very basic implementations on two occasions but only the trial version allowing me to perform: creation of tables, queries, data modification, data filtering among others. In the opportunities that it has used it, it has fulfilled the requirements of the moment. One of the things I like most is that it is a manager that allows you to manage different types of databases without installing different applications for each type." SQL Operations Studio is a data management tool designed to enable working with SQL Server, Azure SQL DB and SQL DW from Windows, macOS and Linux. "Lightweight and Flexible SQL Manager: It's lightweight and quick to install. When users come to me asking if they can get SSMS, I generally point them to SQLOPS first. It handles most things people need to do. There are plenty of admin tasks that can be done here too. I like that I can now give a SQL client to my mac users. I like that I can paste a script into a query window and easily right-click an object to see its definition rather than having to find it in the object explorer." Azure SQL Server Stretch Database lets you dynamically stretch warm and cold transactional data from Microsoft SQL Server 2016 to Microsoft Azure. "Learning A New Tool...It Great! : This program has a good dashboard. things are easy to locate but unfortunately that is where it ends. The one thing that Azure does provide is that it allows my organization to share its physical resources with all 14 of our Divisions across one County (different locations)." Hi there! Would you like help finding solutions similar to Toad?